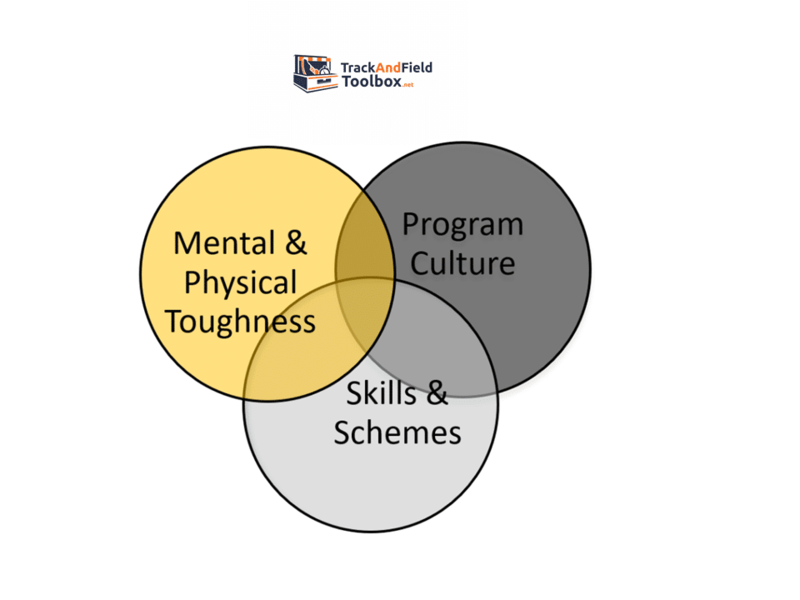 The Track and Field Toolbox is a free site dedicated to providing resources for track and field as well as cross country coaches. The site is designed with high school coaches in mind, but the tools provided here could be utilized for younger athletes or even college athletes. Many times coaches of a track and field team are former athletes that excelled at a particular event or events. Maybe they were a sprinter, distance runner or middle distance runner. They might have also been a jumper, thrower, hurdler or vaulter. Whatever the case a coach can not rely on his or her personal training experience, to provide them with the necessary tools to coach/train all of athletes in the individual disciplines. Improving an athletes performance includes much more than developing fundamental skills. Learning the proper techniques of any sport will definitely help a player be more successful. This website has been designed to help provide coaches with tools to increase their athletes athletic performance. Maybe you are a soccer coach and know very little about lower body stabilization, or you are a volleyball coach and you would like your players to jump higher. Maybe you are a strength and conditioning coach, but you are looking for some drills to help you train the tennis players at your school and you don't know very much about the demands of those athletes. Whatever the case, whether you are a strength coach looking for some new ideas or a head coach trying to teach your self how to train your athletes, the Athletic Performance Toolbox will have a number of resources for you. In addition to a wide range of exercises, drills and workout plans designed to increase the overall athleticism of your athletes, we will also provide tools to assist you in putting together nutritional plans, proper hydration, warm-ups, cool downs and injury prevention ideas.